The number of cyber attacks has increased in Azerbaijan, after a military helicopter of the Armenian armed forces was shot down by Azerbaijani servicemen in the airspace of Azerbaijan, said Faig Farmanov, Head of the Electronic Security Center under the Communications and Information Technologies Ministry. He said the tensions on the frontline affected the network AzNET, and attacks on Azerbaijan’s Web-resources are on the rise. A helicopter belonging to Armenian armed forces deliberately attacked the Azerbaijani army's positions locating 1.7 kilometers north-east of Agdam region's Kangarli village at 1:45 p.m, on November 12. Anti-aircraft forces shot down the helicopter to prevent the enemy's attack. Following this incident, cyber attacks are carried out on electronic media, websites of public and private structures, which highlights the issue of the organizations’ sustainable protection against outside intrusion. "The attacks are carried out from different sources. We recommend owners of Web-resources to pay serious attention to security issues to ensure stable operation," Farmanov said. The e-security center, established in March 2013 to protect users from online threats, malware cyber-attacks and other adversities, alerts about the readiness to render all possible assistance to the owners of resources subjected to hacker attacks. For assistance, contact via "hotline" 1654 or e-mail reports@cert.az. 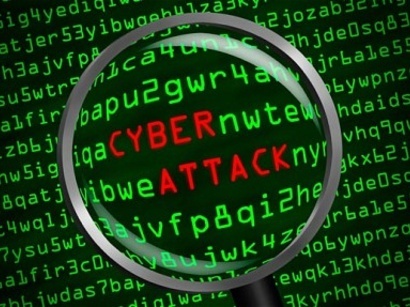 It is not the first time that the number of cyber attacks raises amid the aggravation of the situation on the frontline of the Armenian and Azerbaijani troops. The last one was recorded in August. The cyber-war between two countries continues along with the longtime conflict between Azerbaijan and Armenia over the Azerbaijani Nagorno-Karabakh territory. For over two decades, Azerbaijan and Armenia have been locked in conflict, which emerged over Armenia's territorial claims against its South Caucasus neighbor. Since a war in the early 1990s, Armenian armed forces have occupied 20 percent of Azerbaijan's territory, including Nagorno-Karabakh and seven surrounding regions. A fragile ceasefire has been in place since 1994, but long-standing efforts by U.S., Russian and French mediators have been largely fruitless so far. Armenia has not yet implemented the U.N. Security Council's four resolutions on its pullout from the neighboring country's territories.